When the African National Congress – much to their arrogant surprise – lost significant ground in the 2016 municipal elections, coalition politics quickly gained traction as a suitable alternative and sign of South Africa’s healthy democracy. While specific coalitions were formed between a variety of actors over the common enemy of the ANC, the future of coalition politics nevertheless remains divided, and seems unlikely to last long after the potential defeat of the ANC. By DAVID REIERSGORD. Last week, the leader of the Economic Freedom Fighters (EFF), Julius Malema, claimed his party would pull out of key coalition governments it had established with the Democratic Alliance (DA) in metropolitan areas like Johannesburg and Tshwane, if the DA failed to remove Helen Zille as the Premier of the Western Cape over her tone-deaf tweet from March regarding the value of colonialism. Since then, amid widespread criticism, Zille has apologised and retained her position as premier, prompting the EFF to remind us that they owe the DA nothing with regards to coalitions. The fallout related to Zille’s tweet provides us with a window into the broader difficulties coalitions might face ahead of, and potentially beyond, the 2019 general elections when more pressing issues emerge. While a coalition between the DA and EFF in particular is a useful tactic to potentially overtake the ANC in the 2019 national election, it doesn’t seem like a useful political strategy – especially if one contemplates what the major challenges of unemployment, crime and inequality, among others related to an economy in recession, South Africa might well be facing in three (during the next municipal election) and seven years (during the next general election). Although the DA and EFF share a common goal in defeating the ANC, they have diverging ideas and positions about what to do once that enemy has been defeated. In theory, the concept of coalition politics demonstrates a plurality of constituents working together towards a greater ideal. This practice has been the case in the European Union, where the majority of governments are run as coalitions. Moreover, coalitions help to maintain standards of accountability that might otherwise be overlooked by parties interested in preservation before governing effectively. Some in the DA, like its party leader Mmusi Maimane and Chief Whip John Steenhuisen, have echoed these sentiments, and promoted the value of coalition politics in South Africa ahead of the 2019 national election, arguing that it’s the only method to usurp the ANC. However, in South Africa, the practice of coalition governments is more difficult, because of the overtly partisan orientation of municipal governments that gives rise to structures of patronage and thus corruption. Although a useful political tactic for parties like the DA and EFF, the idea of coalitions requires more scrutiny; as a political strategy it’s seductive at best, and foolish at worst. 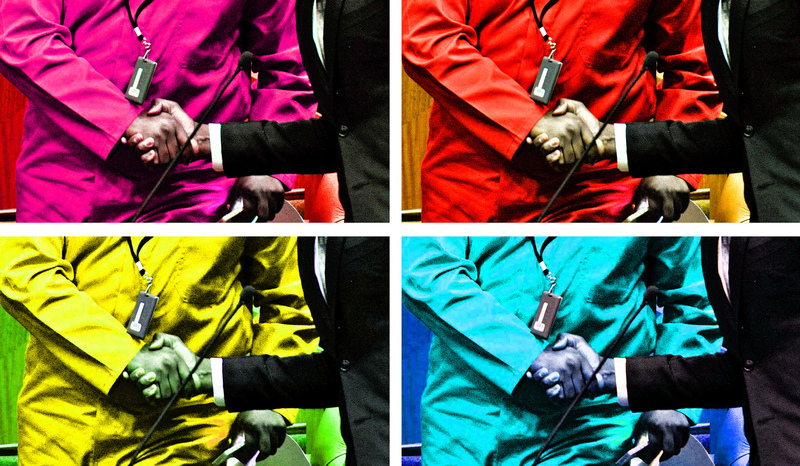 On the one hand, coalition politics is a seductive tactic, because it reflects multiple threads of South Africa’s diverse national fabric coming together in a compromise aimed at reaching a set of common political goals. We want to believe that coalitions speak to a variety of issues with a unified voice – something that is desperately lacking in the South African public discourse. In addition, there is a belief that coalition politics helps parties hold themselves and one another accountable, because parties have to work together rather than against one another. True to the nature of seduction, though, coalitions might seem more attractive than they truly are. The needs of people vary significantly in South Africa, to such an extent that we can’t forsake effective governance in order to achieve accountability, despite how important it is. On the other hand, coalition politics are foolish as a political strategy, because they’re only underpinned by the common goal of defeating Zuma in particular, and the ANC in general. As such, there is a lack of stability embedded within the premise of coalitions, as various actors manoeuvre for control and therefore power, which takes place against the backdrop of a South African society that demands and needs consistent government and a functioning bureaucracy. According to Section 152(1) of the Constitution, the priorities of local government are “to provide democratic and accountable government for local communities; to ensure the provision of services to communities in a sustainable manner; to promote social and economic development; to promote a safe and healthy environment, and to encourage the involvement of communities and community organisations in the matters of local government”. Moreover, Section 153(a) states that a municipality needs to “structure and manage its administration and budgeting and planning process to give priority to the basic needs of the community, and to promote the social and economic development of the community” (emphasis added). In light of the responsibilities of local government mapped out in the Constitution, the durability of coalition politics becomes more questionable. Considering the dramatically different agendas, as well as the radically different symbolism of the DA and EFF, it’s tough to envision consistent consensus with regards to local governance if and when Zuma and the ANC are removed from power. Due to the partisan shape of municipalities, competition between these parties could emerge as a significant hurdle to overcome. Moreover, if coalition politics are the future for a post-ANC South Africa, then the challenges will be to ensure that promoting accountability doesn’t overtake the need to socially and economically develop communities in need, and that partisan politics – that give rise to corruption – aren’t replicated. In light of these challenges, it might prove to be difficult to mobilise all of the stakeholders, such as civil society and the private sector, which is one of the key challenges of good governance according to the State of South African Cities Report 2016. Indeed, the lifespan of current coalitions is tenuous. If Helen Zille’s tweets can cause leading coalition partners to question their viability, like the EFF has done, what will transpire when more substantive issues, such as rising unemployment for instance, require consensus? This is not to make a point about the fracas over Zille’s tweets – quite the contrary. What the EFF’s response to Zille’s tweets reveals is how fragile these coalitions have always been, as well as the stakes of governance in the most unequal society on earth.